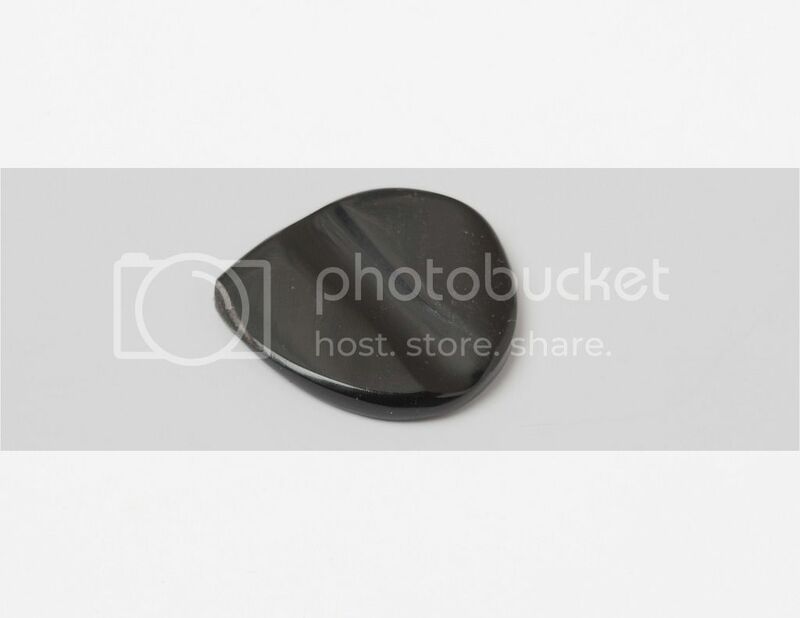 can you help identify this pick? Discussion in 'Effects, Pedals, Strings & Things' started by teefus, Apr 27, 2016.
i bought them in a 3 or 4 pack and they are horn, maybe buffalo. about the size of a standard pick but very thick and completely rigid. there is a thumb indent on one side and a finger groove on the other. 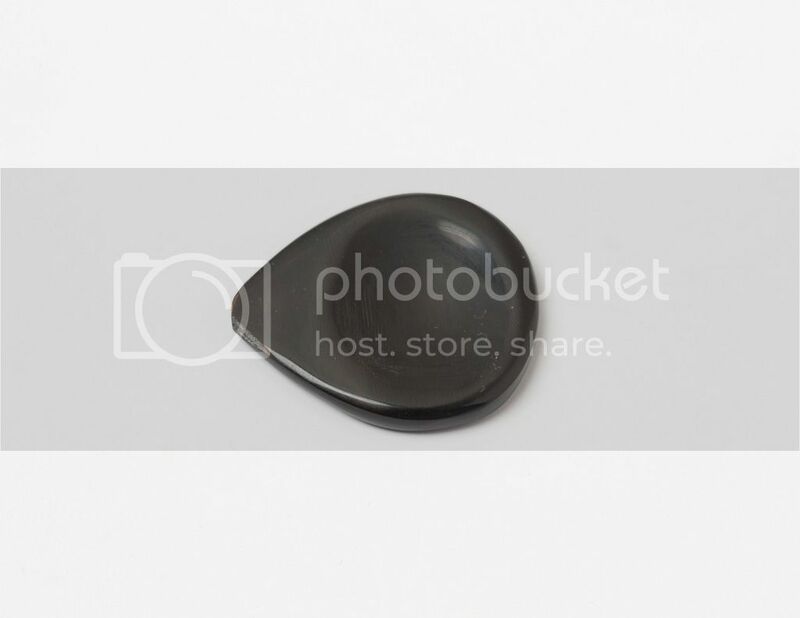 they are amazing and i want to get more but can't find the exact pick. they are most likely NOT timber tones, john pearse or clayton. any help would be greatly appreciated. thanks! they are most likely NOT timber tones, john pearse or clayton. don't recall and that is part of the problem. could have been amazon. yes, you may be on to something. thanks! These actually don't look that similar. teefus, I think you might have a difficult time finding out who made that pick. I don't have any experience with horn picks, but I do have some with wood picks. When it comes to hand made picks, you'll have to go through a lot to find one that you like. Even from the same craftsman, consistency is not a guarantee. Not the cheapest solution, but buy a bunch and try 'em out. You probably won't get an exact match for the pick you've got, but you may find something acceptably close enough. I wish you luck. i figured tgp would be pretty anti-horny. seems uncessary and will only result in doctors and lawyers chasing down and slaughtering all the remaining buffalo- just for their horns. just like before, have we learned nothing? Let's kill all the animals with horns now and just get it out of the way. relax. pretty sure no one is chasing down water buffalo to make picks out of their horns. looks like the picks i use... "when i use a pick"
i get mine from talwar bros. they make them out of wood or bone. I think a lot of sarod-style picks basically look like that. 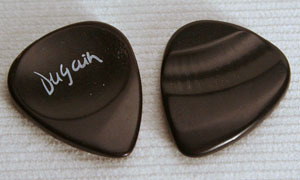 the OP's pick is not the same shape (nor carves) that're on any of the dugain picks we have here, fwiw. They are Pickboy. Sometimes you can find them on ebay. They have horn and bone with the same carve. There are Chinese knockoffs out there too though. How can you tell it's a Pickboy? I sure got some John Pearse 50 picks bag thing years ago that had several like that one, I think many of these are not really branded but bought rather cheap from the orient and repackaged for the western player.